Be that as it may, there is also a different side to Mr Cruise Mapother. The side that gave one Stanley Kubrick two years of Mr Cruise’s life at arguably the peak of the latter’s career. The side that gave cineastes Frank T J Mackey. The side that causes a 50-year old to attach himself to the outside of an airplane that’s actually about to take off, for real. Because Mr Cruise believes he owes his audience proper spectacle, rather than the pleasures of the green screen. However, the always slightly too grinny actor and his perfect teeth make for a far better cinematic bogeyman than, for example, the late Paul Walker (an exceptionally wooden actor without any truly ‘serious’ role on his CV) on the basis of being alive and, above all else, so darn ambitious and successful. Similarly, automotive connoisseurs ridicule the Porsche 911. The combination of a decades-long, uninterrupted bloodline and the overbearing devotion of aficionados this has entailed has seen to that. And just as Thomas Cruise Mapother IV has shown to the world (or at least cinemagoers) with this summer’s Mission: Impossible flick that a sequel to a blockbuster movie franchise can constitute a pleasing piece of popcorn-friendly entertainment (if it is created with diligence, ambition and respect for its audience), the Porsche 911 illustrates why it remains the quintessential German sports car in the late autumn of 2018. Just to put this Elfer into context, a look at the German (sports) car design of this day and age is inevitable. Even without going into specifics, a glance at the sportiest offerings from Audi, BMW and Mercedes-Benz makes it abundantly clear that restraint, sobriety and sometimes just pleasing basic proportions are not considered Teutonic design traits anymore. Against this background, the 992-generation Porsche 911 doesn’t so much constitute a breath of fresh air, as it acts as a reminder of the qualities of solid craftsmanship and conviction. The conviction this 911 exudes is, admittedly, of the conservative kind. This is no car design intended to tear up rule books and rewrite them in highlighter pen. Instead, it brings the 911 formula up to date, without much in the way of fripperies – so far, so good. Or, in the context of aforementioned competition, a rather bold statement. In essence, the 992 Elfer is not much else than a 991-generation car with flusher, more homogenous bodywork. 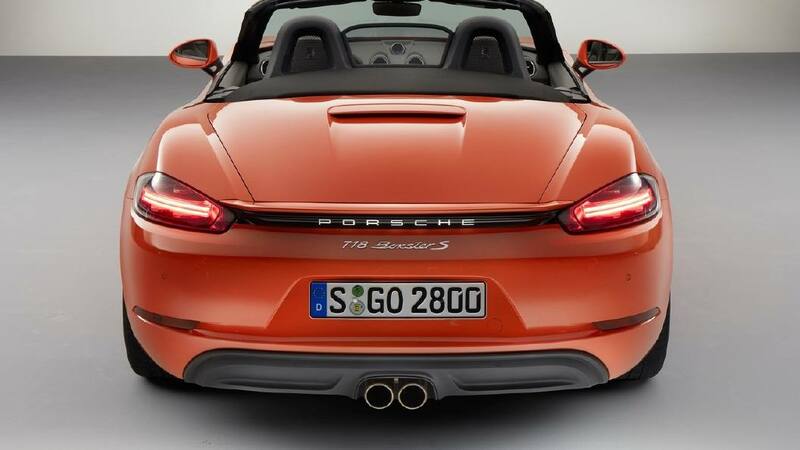 Panel gaps are Piëch-pleasingly narrow, the typical haunches above the rear wheels are more harmoniously sculpted then before, the door handles have gained a slicker, minimalist appearance, while the bulging front wheel house is an unusual feature for a Porsche sports car. What truly sets the 911 apart from its German competition though is its organised, consistent graphics. Whereas the 991-generation car’s frontal aspect never took on an entirely satisfactory appearance, the 992 contrasts the complexity of the light units and air vents with the simplicity of the darkened air intake and auxiliary light ‘unit’ that makes up the DRG. To some, the resultant outline appears too blocky and squat, but that is a decent price to be paid for a rare non-cacophonous solution to today’s aerodynamic and cooling requirements. At the back, the story is quite similar. This may not be the most delicate of 911 derrières, but the surfacing is unquestionably Porsche plump without appearing flaccid. The graphics are also as applaudably simple as those at the front. 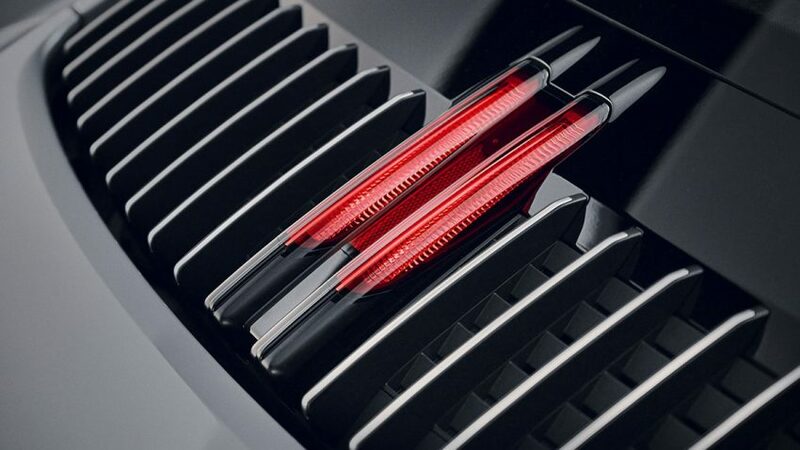 The handling of the full-width rear light strip – a 1970’s Porsche styling feature that was rediscovered with the 991 and has since ‘inspired’ competitors, chiefly Audi, to try similar arrangements – is a wonderfully assured stylistic solution that’s perfectly in keeping with Porsche’s design ethos. 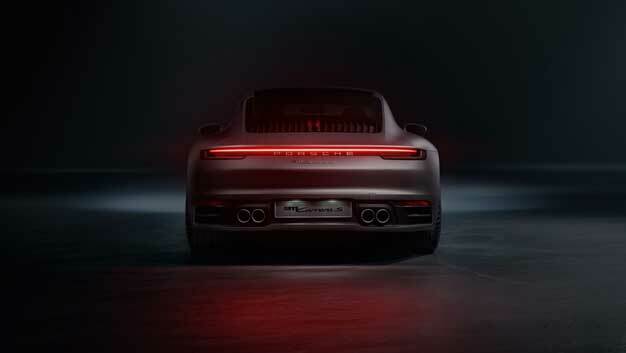 The original 911’s designer, F A ‘Butzi’ Porsche, who spent a brief, yet formative stint at HfG Ulm, would be rather more likely to approve of this single red strip of lights than the Audi R8’s absurd front apron, BMW Z4’s misbegotten headlights or Mercedes GT’s overwrought grilles. The 992-generation Porsche 911’s is not the most exiting of car designs, but that isn’t what it’s supposed to be. Instead, it’s a competently executed evolution of a popular theme. In that sense, this Porsche 911 is clearly no disruptor. Just as with this summer’s Mission: Impossible – Fallout, its creators set out to add another facet to a much-loved principle. They needed to change enough to create an interest, yet not too much as to not alienate aficionados. In either case, the result isn’t cynical mediocrity. It’s proper craftsmanship. Whether we like it or not. Presumably, the next generation Boxster/Cayman will get the fully integrated treatment of the new 911, which works very well. I wonder why they didn’t simply carry a straight shut line across the front of the bonnet? This would require angled rather than radiused front corners to the bonnet. In any event, I’m not sure that I don’t prefer the 991 treatment, which is more in keeping with the organic surfacing elsewhere. Maybe the more angular nose is intended to match the new rear treatment? In addition to your point about the bonnet cutting into the bumper (which appears half-hearted to me), In you photo the panel alignment, particularly where bonnet / bumper / wing meet, doesn’t look particularly “Piëch-pleasing”, nor does the general panel gap consistency. The whole shutline arrangement of the front is returning to more traditional forms. The lights are fully set into the wings and there’s a strip of metal between light and bumper which has a traditional horizontal seam to the wings and bonnet. Even the bonnet/front bootlit panel is more traditional with longitudinal creases and a lower centre portion. The points you raise weren’t lost on me, particularly the way in which the bonnet (frump?) lid cuts into the front bumper. This is the detail I’m least satisfied with personally. However, Michael Mauer et al appear to consider these arched cuts a minor stylistic trademark of the 992, which is why they can be found elsewhere on the car too. That doesn’t prevent those shutlines at the front from appearing slightly uneasy, but the attempt at consistency proves once more Porsche’s stylistic diligence, which is the main point I’m trying to make here anyway. This is no carelessly designed car. Richard is also correct regarding the frontal aspect Daniel presents us with. I try and use real on-location photos whenever possible (no matter how heavily photoshopped), and in ‘natural’ light, as in the third photo included in the article, the panel gaps appear to be exceptionally narrow. So either the car used for that studio photo was a preproduction vehicle that wasn’t checked through in thorough enough a fashion, or the CGI wizards performed their magic exceptionally successfully on the ‘real’ photos I chose for my own purposes. We’ll know for certain once series production 992 can be seen on our roads. To carry the shutline across the bonnet would have been even wierder, leaving a rat-hole where the diagonal line meets a horizontal. To see why, draw a line horizontal across a page. Make a parallel line 1 mm from it. Draw another line meeting the first two at, say, 45 degrees. Make a parallel line to it at 1 mm distance. Now put a little 1 mm or 1.5 mm radius on each of the outer junctions and see what is left when you trim/delete all the bits of line inside the outer edges. A better solution was to have the bonnet eat another cm into the bumper (either by moving the leading edge of the bonnet or playing with the bumper line. Great piece. I was concerned that the 992’s rear was a bit too bluff and blocky but I am getting used to it. As for Tom Cruise… not sure if he still does, but he certainly used to favour a 911 Carrera as his regular wheels. Telling, no? I believe he does. I just didn’t want to overegg that particular analogy pudding, you see? I couldn’t agree more about the care and consistency with which Porsche has evolved the 911 (and other models too). The only real mis-step was the 996 generation 911 with its “fried egg” headlamps and overly large tail lights, which gave both front and rear aspects a heavy and somewhat clumsy appearance. Thankfully, the 997 returned to a more classic style. I hadn’t noticed the indent in the bonnet which Dave pointed out. It’s a very nice reference to earlier 911’s. Some deride Porsche’s approach to design as overly cautious, even lazy, but I applaud it. 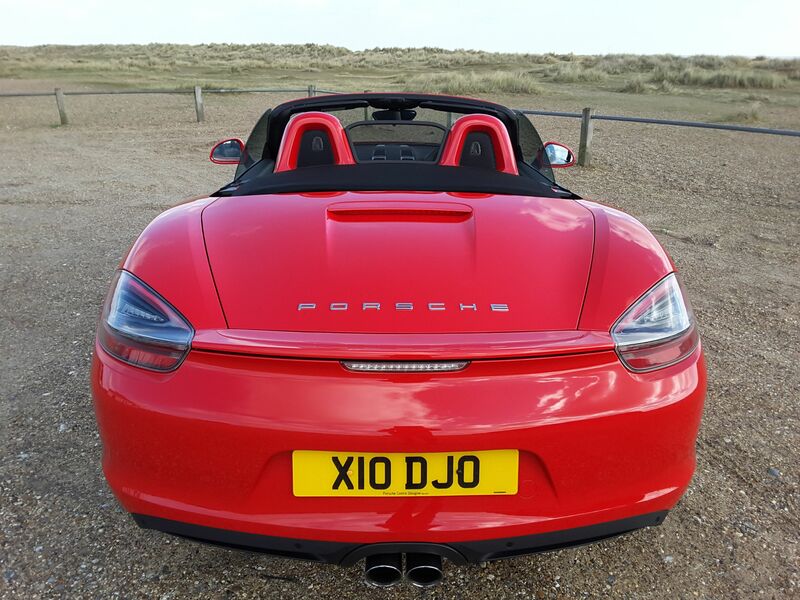 My previous Boxster, a 2006 987 generation car which now belongs to a friend, looks in no way dated when parked next to its 981 generation replacement. How many other twelve year old cars could you say that about? Hi Richard (H). I take your point about the potential “rat hole”, but perhaps there’s a more fundamental issue at play here; trying to blend the super tight panel gap between the wing and front bumper with the necessarily wider shut line around the bonnet? Maybe the 981 treatment, where both are kept apart, is the better solution after all? (Wrong Richard I know) but I agree, and trying to join the three panels so near to the bonnet radius seems to add to the issue. In quite a few photos the union of panels looks slightly misaligned. Its probably how the light is catching the paintwork, but perhaps there is a better solution. Cruise’s latest M:I episode was my favourite ‘action’ movie of the summer. With two teenage offspring in tow, I get to see quite a few and I thought it an exceptionally entertaining exponent of the genre – non-stop, high octane, all action, and, exhausting! As for the 992, well, it’s an evolved 911, isn’t it? I would like to see Porsche push the envelope a bit further, but I admit that I would struggle to say how, exactly (because I don’t know what I am talking about, probably) … I don’t think that playing with the details is a great way to go, maybe it’s about placing a bit more emphasis in the proportions, or profile, on it being rear-engined? VW has done a pretty good job in evolving the Golf further whilst still making it nothing else than a Golf. That said, if it means the 911 avoids the same fate as the MINI … leave it be! Still makes me smile, and it’s a hoot to drive. Daniel … all I will say is that I think you picked the angle and colour of your picture very carefully. 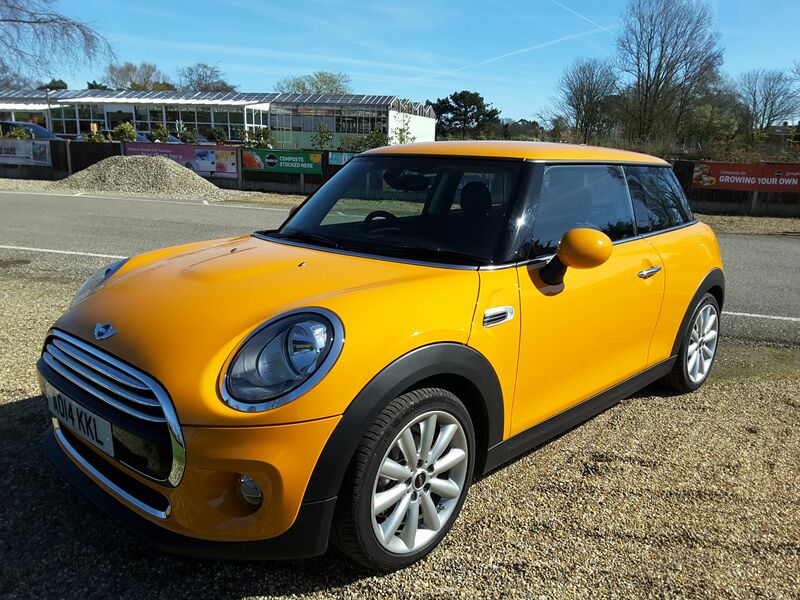 I thought the Mk1 MINI by BMW really had something (how they made the front overhang so slight is beyond me), but since then it has got steadily worse. The new 5 door is really distressing. Eóin … absolutely: new A1, Q2, Q3, A6 … that new BEV saloon based on the Taycan … quite horrid. 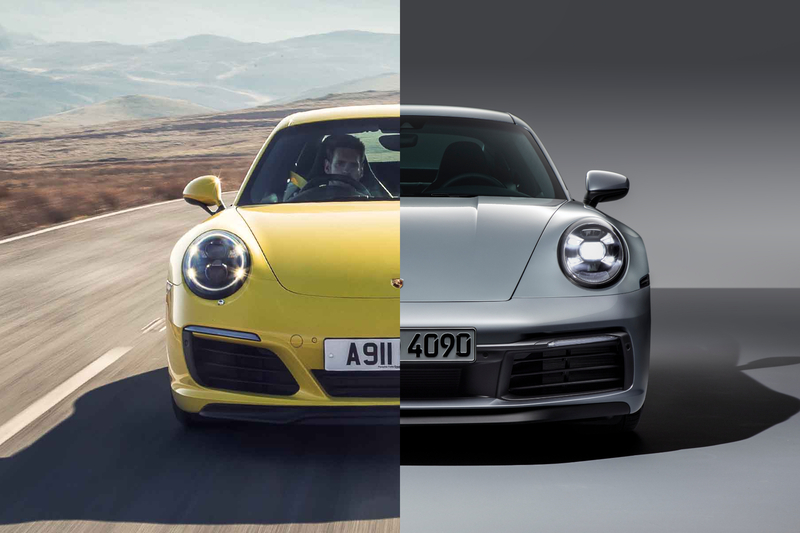 Porsche has literally pushed the envelope by making the current 911 twenty-five centimetres longer and twenty centimetres wider than its air cooled ancestor in original form. Seeing an old air-cooled 911 one can’t help but being astonished by the narrowness of that car. Even a 928 looks tiny against modern cars. Dave, are you sure it’s just 25cm in length over the aircooled 911 ? If so, that’s not bad for 55 years ! S.V. – there have been numerous attempts at redesigning the 911 to be more exciting without losing its DNA. To my eye they are a lot more elegant than the yawn-inducing evolutionary route. S.V., yes, I admit that the frontal aspect is a bit “gobby” but is it really that bad when compared to the horrors Eóin referenced? I doubt the R50 Mk1 BMW MINI would pass pedestrian impact regulations today, given just how tightly packed everything under the bonnet was. I think this Mk3 new MINI betrays the compromises of being based on the same platform used for the X1 SUV and a plethora of other models. Hence the longer than ideal overhang… although I am sure pedpro regulations come into it. Compared to its two predecessors, I really dislike the additional feature line around the wheelarches and the subtle concave sculpting of the flanks, but assume that without them you would have a featureless blob which would visually overwhelm its short wheelbase. 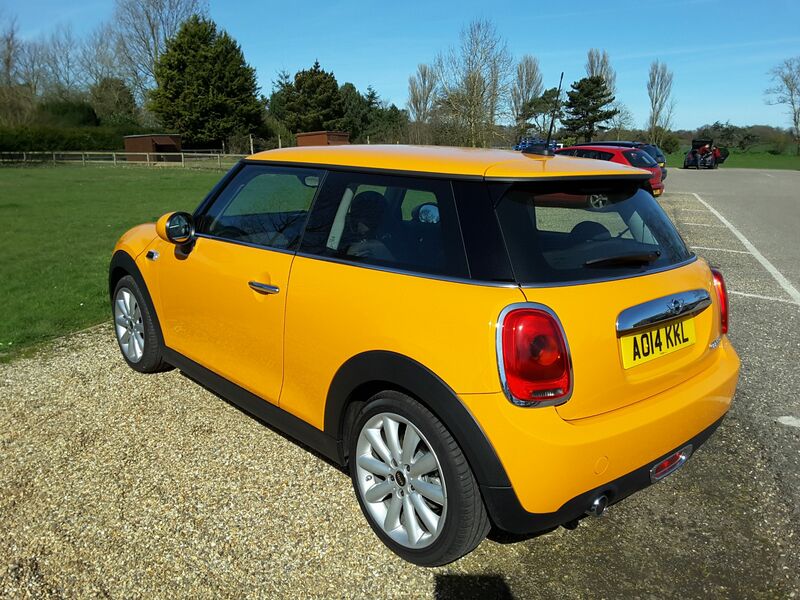 Still a very good car though, so all is forgiven… except the new Union Jack rear lights. Who thought that was a good idea? Agreed, the new tail lights are just horrible! I don’t think they’re even a delete option, so you’re stuck with them. Anorak alert: it’s only Union Jack for the Royal Navy, otherwise it’s Union Flag. Really? 50 years a Brit and that’s the first time I had heard that (Jack vs. Flag!). One for the next pub quiz. Daniel, I am aware that – in the strictest sense – ‘Jack’ should only be used when at sea, but I ignore that rule. Firsty, the flag is indivisable from UK’s rise as a naval power, which in turn delivered the Empire, which in turn has defined so much about this collection of nations since (for good and bad). Secondly, the English language is an endlessly malleable and evolving means of communication, and ‘Union Jack’ has long since developed from its original meaning to describe the flag used in any setting. Actually, S.V., there’s still some debate about it, but “Flag” will always be right on dry land and “Jack” likewise at sea. The design of all new Porsche 911 versions has 2 main tasks: 1. Create no Dealbreaker 2. Add something new. The biggest difference for me – comparing the 991 and the 992 -is the optical integration of the grill in the rear window. So the boot looks “cleaner” to my eyes, but also less “form follows function” and more “born to impress others” by making the boot wider and creating a unique light signature. The light details are – for me – too much show . A such powerful car does not need such kitsch. Biggest improvement : The dashboard is a modern interpretation of the 993 theme and no longer a uninspired variation of the 996 dashboard. The 992 is an astonishingly well designed car (apart from the somewhat pretentious rear end, not counting the perfect proportion-wise integration of rear grille with rear glass) and probably a perfect exercise of “nipping and tucking” the now (from these point of view as 992 is here) somewhat aloof seeming front 3/4 silhouette of the 991. The curvatures of front and rear wheelarches, respectively, as well as their mutual rhyming, is nothing short of breathtaking (in silver, markedly so!). The discreet “longnose” hommage in the hood eating away from the front bumper, somehow works, even though in theory it shouldn’t. The front bumper cooling openings are integrated succesfully, endowing it with enough of the era-appropriate ‘grille greed’, without it being even remotely vulgar (as several recent offerings from other premium brands unfortunately are). The slightly “too architectural” solution of the rear end brings the observer back to reality. Obviously the necessary dose of ‘contemporary market acceptance poison’ went there. If you park it in reverse, luckily, you’ll never need to see it. But it’s imposing and refreshingly different, if not as disarmingly seductive as the rest of the viewing angles. Interior seems a revelation, I agree – although I shall stay reserved until I’ve sampled it first hand. One of the best looking 911s ever, will be hard to improve on this, that much is certain. Hi Al: That was a very nicely composed post, thank you. DTW might not be the largest community of people concerned with cars and car design but not much time passes between moments when I am struck by the quality of correspondenece such as this, and that of other citizens of these pages. I may be more of an ALPINA green or blue man myself, but your input is nevertheless highly appreciated, Al!